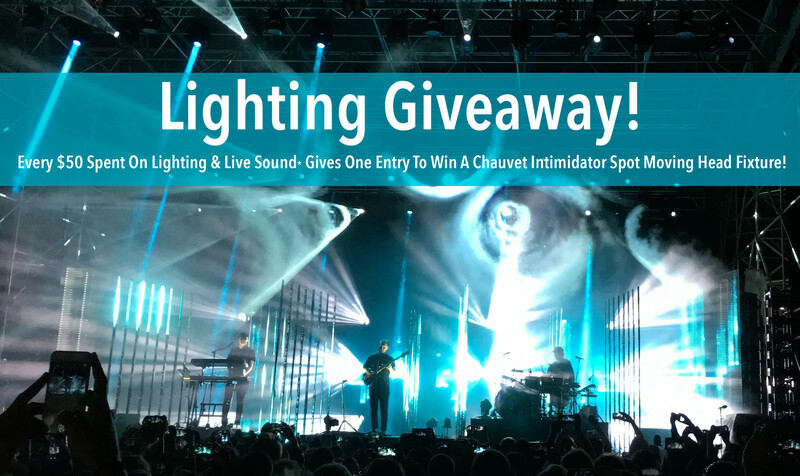 Sims Music is giving away a Chauvet Intimidator Spot 110! Every $50 spent in the lighting and PA Speaker departments gets you one entry to win a Chauvet Intimidator 110! In addition to the giveaway, select lights are 10% off while supplies last!